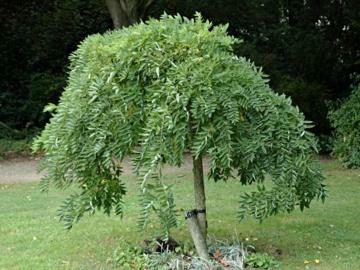 Attractive small weeping tree forming a rounded, fine-textured canopy. Long stiffly drooping branches and alternate, pinnate leaves. Very rarely flowers. Moist, well drained, preferably light, soil in a sunny position. Some tolerance to drought. Notably resistant to honey fungus.